Yes. Pesticides have been associated with a higher rate of breast cancer. Pesticides are fat-soluble and tend to remain in the fatty tissue of humans, other mammals, birds, and fish. Studies have shown a higher level of pesticides in women with breast cancer than in women with benign breast disease. A 1993 study by the National Cancer Institute (NCI) found that some women with breast cancer had high levels of the chemical DDE, a compound derived from DDT, the infamous organochloride used in chemical pesticides and electrical components. Consider the results of a 1990 study of breast cancer and pesticides in Israel. 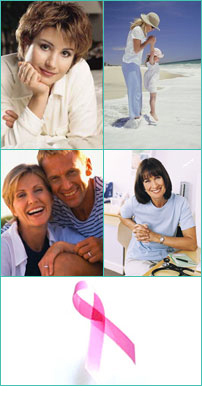 In the 1970�s, Israeli women had one of the highest rates of mortality from breast cancer in the world. Prior to a 1976 ban on several organochlorine-type pesticides in Israel, some dairy products in Israel had pesticide residues as high as 500% above U.S. levels, and residues in breast milk in Israeli women were 800 times the level measured in breast milk of women in the U.S. In the 10 years that followed the ban of the particular pesticides in Israel, the incidence of breast cancer declined 20% in Israel, while the incidence of breast cancer increased in other industrialized nations. Doing the best we can to limit our exposure to pesticides is another piece of the wellness puzzle. Although you cannot control the world around you, you can refrain from herbicide and pesticide use around your home. Understanding the dangers of these chemicals makes a perfect, artificially-sustained lawn seem absurd. Try to educate your neighbors about herbicides and pesticides. Wherever possible, look for organic cottons, either in clothes or household linens. By selecting organic cottons, you will further minimize your exposure to pesticides sprayed on the world�s cotton fields. Also, you can avoid eating foods that have been treated with pesticides and herbicides. Choose organic vegetables, fruits, grains, etc. They may cost a little more, but they are well worth it.